Great mix! Love the different textures worn together, enjoy the long weekend dear! I hate it when I love my outfit but don't like the photos. These look great! I love the camo with those fabulous studded boots! 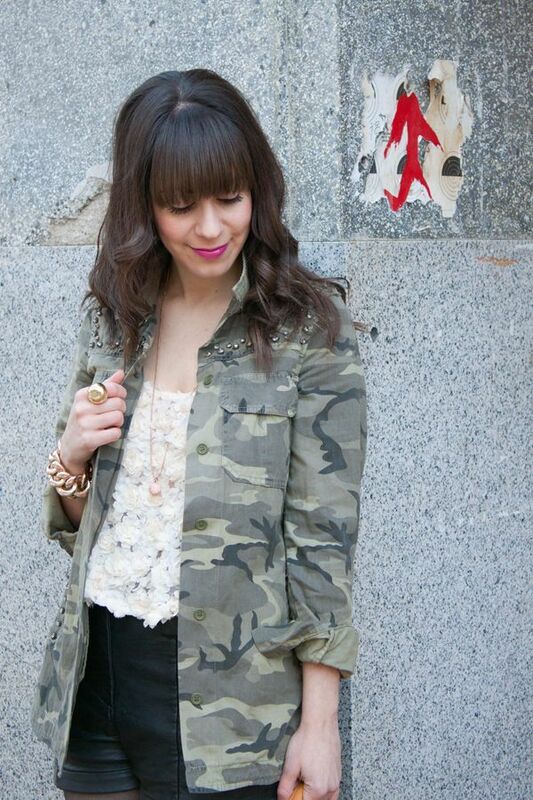 I really love this pretty camo jacket! These photos definitely worked out! I hate when photos don't turn out the way we want! Have a great weekend Vickie! You have a fantastic blog. First time that I have come across your blog I will definitely follow. It is great to find great canadian blogs. I hope that you will also like my blog as well!! !